Bicycles and motorcycles are an integral part of our lives. They provide easy and cheap ways of public transportation for many billions of people all around the world. However, ease of transport was not always so widespread. 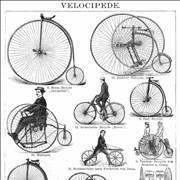 Over past several centuries, many inventors worked hard on the production of various two-wheeled transport devices. This is the place where you will find out how they managed to produce such groundbreaking devices that are today strongly integrated into our society. During the long history of public transportation, there was no greater moment than the discovery of bicycles. From the millennia’s of horseback riding to the global saturation of bicycle use, this section will try to track the origins of this groundbreaking device. 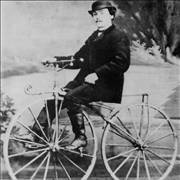 Origins of the bicycle can be traced to several very gifted scientists. Here you can found out about them, and their efforts to create easy to manufacture and easy to use traveling device that would change the face of public transport forever. Over the last few hundred years, inventors from all around the world strived to create perfect bicycle types for all kinds of uses. Here you can get informed about all the most popular bicycle types that you can purchase today. 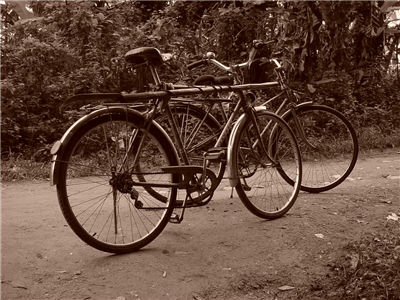 For millions of people around the world, bicycles represent not only the transportation vehicle but also a way of life. Read more if you are interested in history, types, and modern cycling. 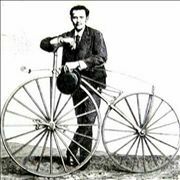 Son of the Pierre Michaux, who brought us the first bicycle, was also credited as the inventor of the first motorcycle. This steam powered transport device soon became the focal point of the life works of several designers around the world, and in during the end of 19th century age of motorcycles truly begun. It all began in late 15th century with some simple drawings of Italian mastermind Leonardo da Vinci. His two-wheeled design perfectly described one-person velocipede (without pedals or chain transmission), that could have easily been made from then accessible materials. 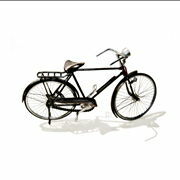 With working prototype never produced, bicycle remained unknown all up too early 19th century. 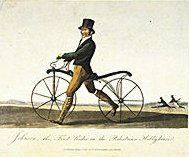 The Baron Karl von Drais made the basis for today’s bicycle in 1817 with his “Draisine” velocipede. After several years with moderate success in Europe, his designs received an upgrade in England with “Dandy Horse” design. That model caught the attention of French blacksmith Pierre Michaux and his partner Pierre Lallement in the early 1860s. 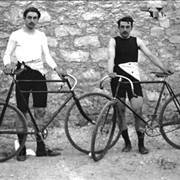 Together with Michaux’s son Ernest, they managed to produce the first model of a bicycle with pedals. This marked the pivotal moment in bicycle history. 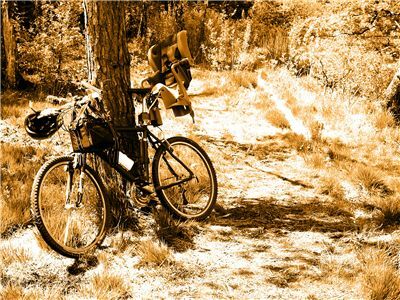 From that point, all bicycle started spreading itself across Europe countries and across the Pacific to the United States. Bicycle soon received many improvements during the next few years – metal frames, pneumatic tires, safety brakes, ball bearings, chain transmission and coaster brakes. 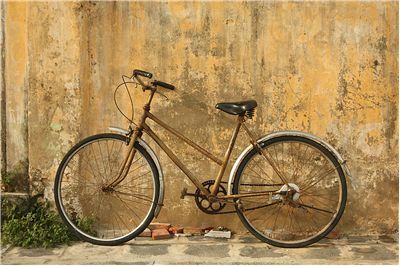 The most popular bicycle design of late 19th century was certanly “Rover”, which was made in England by inventor James Starley. Around the time when bicycles first surfaced, there was already a well-developed steam engine industry. Scientist naturally wanted to combine these two technologies into a machine that would alone generate the power needed for its transportation. 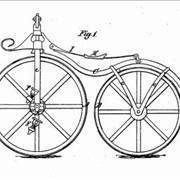 First, known motorcycle was made in a factory that also gave birth to the first bicycle. 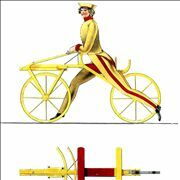 Son of Pierre Michaux, Ernest, combined one of their early velocipede models with a small steam engine. Since that breakthrough, many other scientists tried to attach various steam engine models to bicycles, but true revolution happened in 1885. 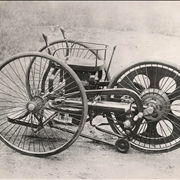 Two German inventors Gottlieb Daimler and Wilhelm Maybach managed to attach gasoline internal combustion engine to the iron bicycle frame. After that discovery, motorcycle’s fate was sealed, and its worldwide production was very influential for developing other transport devices with internal combustion engine. Today over half a billion bicycles and motorcycles are in use, mostly in Asian countries of China and India.